Google begin tinkering around with AR back with the Google Glass. We all how that ended, but they more than made up for it with subsequent projects. With Cardboard and ARCore, Google has been keen on making virtual experiences available to a wide audience. 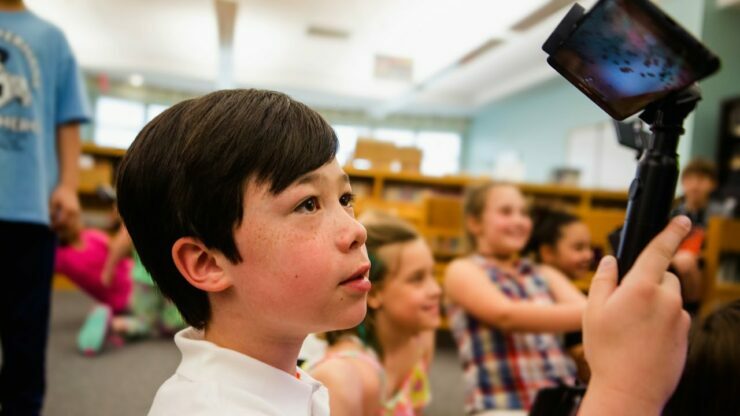 Last year, the company released Expeditions, which allowed users to point their AR-ready devices at specific points in the classroom and interact with objects. Until now, it was available only to educational institutions. According to Google, one million students have experienced augmented reality trips in the past year and as of today, it has been rolled out across both Android and iOS. The first iteration of the app relied on Cardboard or other virtual reality headsets. We first saw it in action at Google I/O 2017, where 3D objects could be brought into a shared space and viewed through individual phones and other larger screens. It allowed for a more immersive experience with students able to physically get closer and see different angles of otherwise abstract objects that couldn’t be interacted with in real life. Here’s a look at how it works. Expeditions AR is now open for all to try with an update to the Expeditions app today. Teachers can still use it in class, while the public can also download the app and explore a variety of locations. The app features over eight hundred standard VR and 100 AR tours created by Google Arts & Culture. You can even get a virtual tour of locations such as the Smithsonian museum, thanks to their collaboration with Google. Version 2.0 of the app has also redesigned the Discover, Guide, and Join sections. To join in on the fun, you’ll need an ARCore compatible Android device and an ARKit compliant iPhone. If you want to give it a try, you can download it from the Play Store or the App Store.